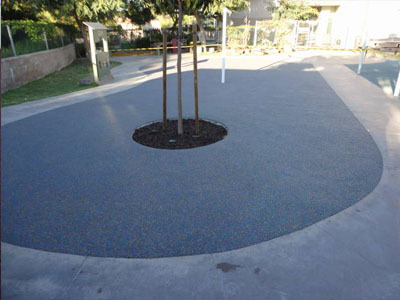 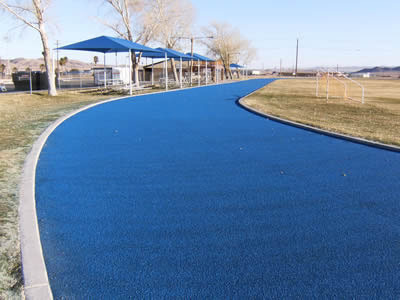 Poured In Place (PIP) seamless rubber safety surfacing system. 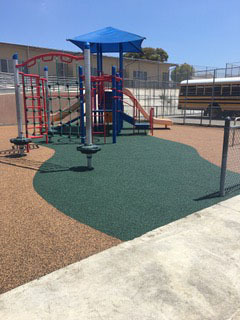 Using California waste tires as the cushion layer and virgin EPDM rubber as the upper wearing layer. 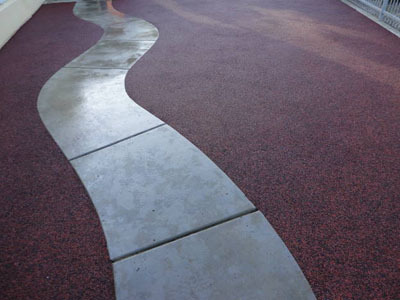 Tested to meet current ASTM Standards.